One of the goals of the National HIV/AIDS Strategy was to refocus existing efforts and deliver better results to the American people within current funding levels, as well as make the case for new investments. The Office of National AIDS Policy (ONAP) is excited to share some of the progress the Obama Administration has made over the last few months. Last July, when we released the Strategy, the President issued a Presidential Memorandum that directed six lead agencies (Health and Human Services, Housing and Urban Development, the Department of Justice, the Department of Labor, the Social Security Administration, and the Department of Veterans Affairs) to submit agency operational plans for implementing the Strategy. He also directed the Department of Defense, the Equal Employment Opportunity Commission, and the Department of State to provide recommendations for implementing the Strategy. ONAP is pleased to release the plans developed by the agencies, as well as an overview report that we produced to demonstrate the synergies achieved by having all of the lead agencies work toward shared goals. The ONAP Overview Report and the individual plans themselves can all be accessed at www.AIDS.gov. 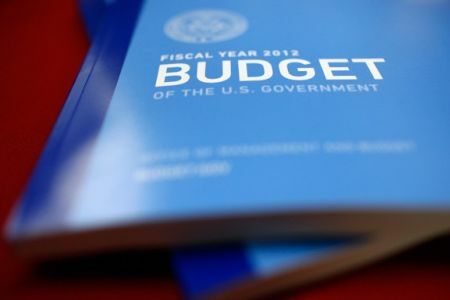 This week, President Obama sent Congress his budget for fiscal year 2012. This document is built around the simple idea that we have to live within our means so we can invest in the future. And there is much good news for the HIV community in this budget. The Administration maintains or increases domestic HIV/AIDS funding at HHS, HUD, VA and The Department of Justice. The Budget increases domestic discretionary HIV/AIDS funding at HHS by $219 million and at the VA by $173 million above fiscal year 2010, while maintaining HIV/AIDS funding levels for HUD and DOJ. President Obama is committed to working with States, pharmaceutical companies, and other partners to ensure continued access to lifesaving medications for people living with HIV. His Budget will increase funding for the Ryan White HIV/AIDS Program by $88 million over fiscal year 2010, for a total funding level of $2.4 billion. The Budget increases funding for ADAP by $80 million over fiscal year 2010, which is $105 million above the fiscal year 2010 enacted level, prior to the transfer of $25 million in emergency funds, for a total request of $940 million in fiscal year 2012. Within this total, the Budget includes $60 million to continue a supplemental grants program to assist State AIDS drug assistance programs with waiting lists and/or that have implemented restrictive cost-containment measures. People living with HIV should not have to live in fear that their access to lifesaving medications could be taken away from them. The President is demonstrating a strong commitment to standing with people living with HIV and working with States and others to bridge the gap in access to HIV medications until insurance coverage is expanded in 2014 through the Affordable Care Act. The Budget will also support critical investments at CDC to prevent new HIV infections. The Budget provides a total funding level of $858 million for HIV prevention at CDC which represents an increase of $58 million above 2010. Of this total, thirty ($30) million is allocated from the Prevention and Public Health Fund. The Budget also transfers $40 million from the Chronic Disease Prevention and Health Promotion Program at CDC for school health programming to the National Center for HIV, STD, Viral Hepatitis and TB Prevention to achieve closer coordination of CDC’s HIV and STD prevention programs. Increased investments would also be made for HIV/AIDS research at the STD prevention programs research at the National Institutes of Health (NIH). The Budget includes an estimated $2.7 billion for domestic NIH HIV/AIDS research, an increase of approximately $70 million over fiscal year 2010, as well as at the VA, where the Budget includes $956 million in fiscal year 2012, an increase of $173 million above fiscal year 2010. The Budget also includes $178 million for the Substance Abuse and Mental Health Services Administration or SAMHSA to continue its support of evidence-based prevention interventions and behavioral health services and treatment for people at risk for or living with HIV/AIDS who have co-occurring mental and/or substance use disorders and $335 million for the HOPWA program at HUD, which will continue to address the housing needs of persons with HIV/AIDS by providing tenant-based rental assistance, operating subsidies for permanent and transitional housing facilities, and homeless prevention activities. The President is putting forward a responsible budget to enable the Nation to win the future. He is also putting forward a Budget that clearly demonstrates his determination to help the Nation achieve the goals of the National HIV/AIDS Strategy.